We like to think of all the ways that VR is changing video games. But it’s making an equally huge impact on other industries, one of which is healthcare. 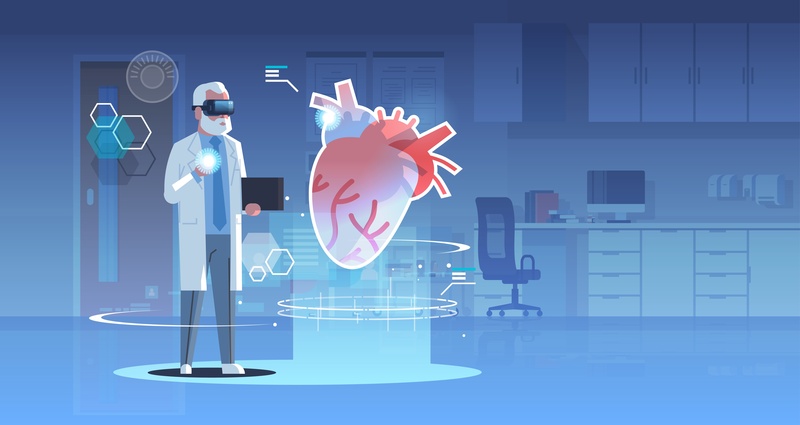 In fact, some people believe that the true potential of virtual reality lies, not in its gaming applications, but instead in what it can do for other industries like healthcare and manufacturing – even space exploration! A report from Medical Express only confirms this. Basically, the study looked at how effective it would be to view a patient’s internal anatomy through a catheter via VR. This method proved to be a lot faster than traditional methods at mapping a patient’s anatomy and helping doctors detect problems. Comparing the time it took to complete certain actions, the team found that, in VR, it took 17.6 seconds to complete as opposed to 70.3 seconds on the “standard model” and 171.2 seconds for the “real life” procedure. The time efficiency of the VR procedure is definitely worthy of further examination. The software to do all of this was done through a startup called Pyrus Medical which received funding from a University of Washington business incubator. Many experts think that using VR in commercial and medical formats will only continue to expand in the future. That’s not really that surprising when you consider that video games and technology often share advances more often than not. For example, many older gamers might recall using the PlayStation 3 for cancer research and, before that, people pioneered ways to use portable game machines to get kids more involved with their health, such as checking their blood sugar if they were diabetic. Again, the main advancement VR is offering here is speedy and efficiency which, in emergency situations, becomes more important by a factor of 10.
Who knows, maybe in the future your doctor will treat you or even perform surgery via VR.